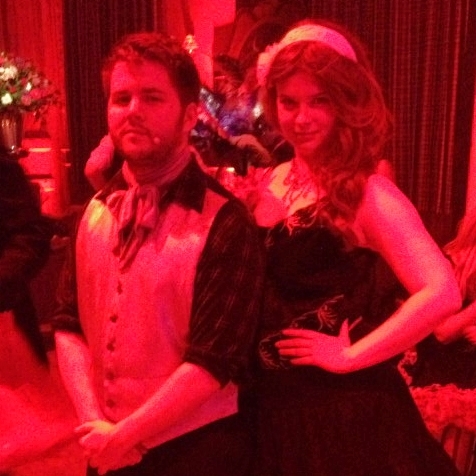 Phoenix Theatre can bring a touch of Montmartre to your event with our cabaret based on Baz Luhrmann’s ‘Moulin Rouge’. Christian and Satine, along with Harold Zidler and his dancing girls (and boys!) will greet your guests before performing classic songs and dances from the film, including “Your Song”, “Lady Marmalade”, “El Tango de Roxanne” and, of course, the Can Can. Our Corporate team have performed ‘Moulin Rouge’ at a large number of hotels across the North East, as well as Skibo Castle and many times at the AECC. Do you want to ensure your guest will love your event? Do you want to fill it with beauty and that bohemian spirit? Then please, feel free to contact us to find out more and discuss the details.